If you’re looking for the perfect frock to make a dramatic entrance in at this year’s American Cancer Society Gala of Hope in Saratoga Springs, Balenciaga’s the way to go. Now, I’m not suggesting you whip out the platinum card and order up one of the ’80s-inspired, broad-shouldered jacket-dresses Balenciaga Creative Director Demna Gvasalia showed for Spring/Summer 2019 (although one of those would certainly do in a pinch). Instead, look to Cristóbal Balenciaga himself, the late founder of the legendary Parisian house in 1937, for your red-carpet inspiration. A fashion house will often have a signature hue—shocking pink for Schiaparelli, Valentino’s trademark red—and Balenciaga’s was no exception. But the master’s preferred “color” was no color at all. Describing a visit to his atelier on Avenue George V in August 1938, Harper’s Bazaar took note: “At [Balenciaga], the black is so black that it hits you like a blow. 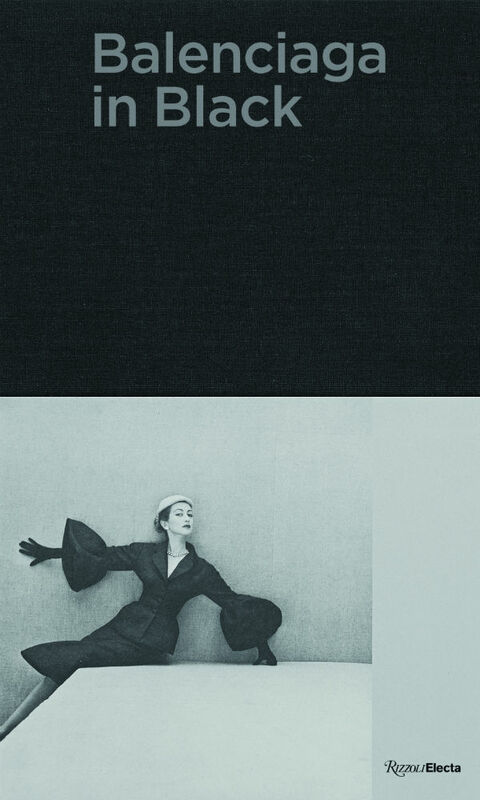 Thick Spanish black, almost velvety, a night without stars, which makes the ordinary black seem almost gray.” What attracted Balenciaga to this extraordinary shade? As Bazaar hinted, the root of his affinity was cultural. 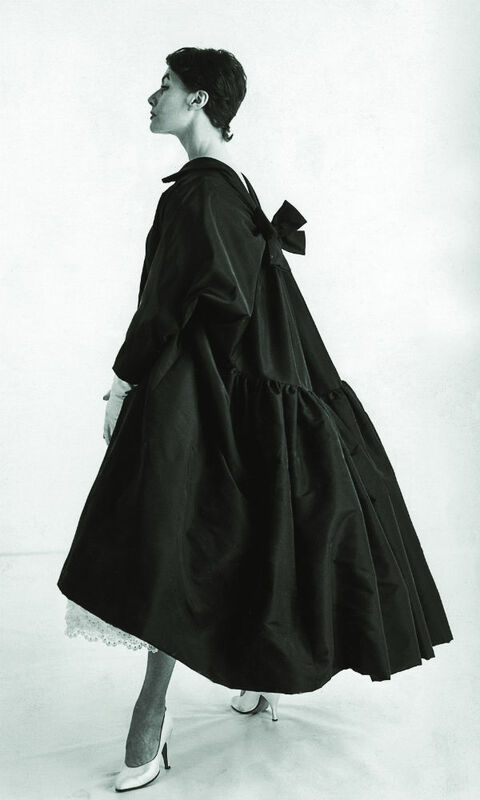 Balenciaga collected late 19th-century robes and collars for inspiration, and black had a long and deep association with Spain, from Catholic piety and traditional Spanish folk dress to the sober black finery favored by Spain’s Habsburg rulers (and, thus, the entire court) since Charles V ascended the throne in 1516. It’s no coincidence that black dominates the canvases of Spain’s Old Masters, Zurbarán, Velásquez and Goya. It also provided the perfect palette for Balenciaga’s own unique artistry. Without the distraction of color, a Balenciaga design in black—whether an impeccably tailored bouclé suit, a baby-doll dress or a dazzling evening gown—first impresses with its architectural silhouette. Then, upon closer inspection, the eye is seduced by the rich, often contrasting textures and exquisite detail. The master’s longstanding romance with the most elegant of shades is plumbed in Balenciaga In Black (Rizzoli Electa), the stunning book inspired by the museum exhibition that debuted at Paris’ Musée Bourdelle in 2017 and just finished a run at the Kimbell Art Museum in Fort Worth, TX, earlier this year. The book boasts contemporary photography by fashion’s heavy-hitters, including Irving Penn, Louise Dahl-Wolfe, Gordon Parks and Richard Avedon, as well as a wealth of material from the couture house’s archives. Balenciaga’s technical wizardry is unmistakable in sketches that are not mere fashion illustrations but rather exactingly detailed blueprints for his designs. He would specify not just fabrics, but also the direction of the weave (or knit) of each piece, detailing each seam, dart and pleat: the type of stitch to be used and thread colors. Frequently, Balenciaga would even name both the seamstress he wanted to do the work and the fitting model. 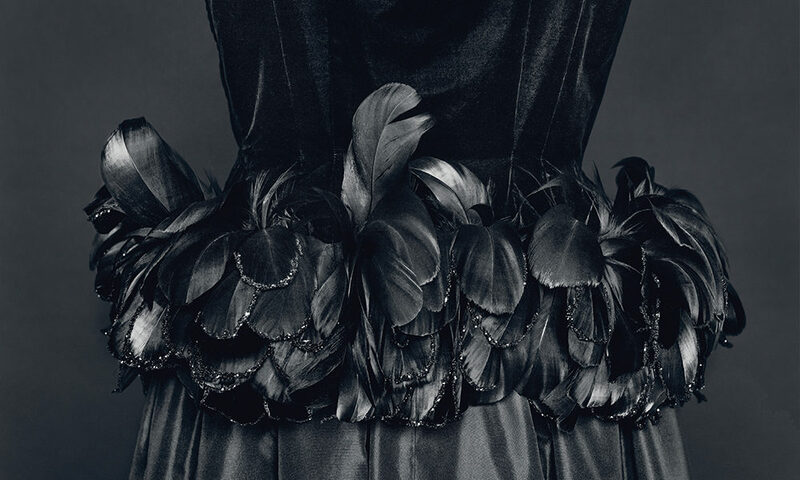 The stunning results of all that attention to detail could be seen in the 100 Balenciaga pieces included in the traveling exhibition, 50 of which are featured in the book, gorgeously photographed on black mannequins against black backgrounds by Pierre Even. The photographer is best known for his black-and-white portraiture; he captures the exquisite detail of each dress, gown, jacket, suit, coat, cape, stole, hood, ruff, hat and necklace. Each is a symphony of black on black on black, highlighting contrasts in texture, layers of transparency and the sumptuous detail of lace, jet beading, paillettes, embroidery, brocade and quilted leather. Whether black is your “signature” color or not, you’re sure to find plenty of fashion inspiration inside Balenciaga In Black. How can you not?.